FreePBX Certification Training, in Florida, in January, On Sale until Dec 16th! With winter weather on it’s way, it’s time to schedule that “work” trip for Naples, Florida in January! FreePBX Certification Training – Early Bird Pricing – Double discount until December 16th! Seminar Only – $1,695 regular price $2,295 (offer ends December 16th, 2013). 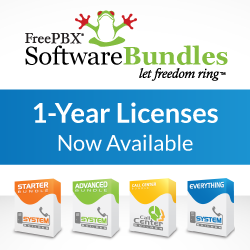 Next PostWebRTC Softphone module now available for FreePBX!